Industry Gab: A Conversation with Hydroponics Experts on the Front Line of Growing - Rosebud Magazine Hydroponics Lifestyle Growing And Entertainment! 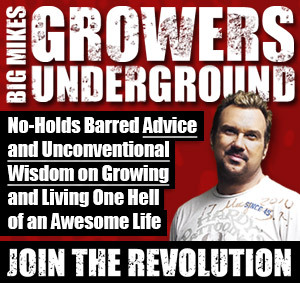 Get in on the conversation about the latest in the hydroponics community. 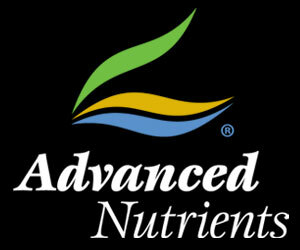 Terry and Roy Vincent are the owners of Waterworks Hydroponics. We caught up with them for a chat about growing and the hydroponics industry. Check it out. 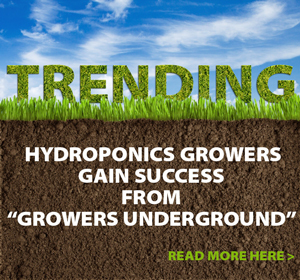 Rosebud Magazine: Where do you see the hydroponic industry going? Terry & Roy: We think with almost any industry, especially this one, the main factor is the demand of the consumer. In order to keep that demand high and growing, we need to focus on letting people know the many benefits, including cost savings, health benefits, convenience and enjoyment, that comes with growing hydroponically. That said, we absolutely see this as a fast-growing industry with new technology becoming increasingly affordable by the day. Twenty stores have opened in the area where Waterworks opened two years ago. RB: What are the current challenges facing your store? T&R: Obviously competition is a challenge for any store — not only local competition, but online as well. The problem with buying online is that sometimes you have new growers attempting to learn on their own, which is admirable, but very difficult. We get first-timers in the shop who purchased some cheap (or overly expensive) lights, equipment or nutrients online that they are misusing or aren’t right for their garden. The best way to separate ourselves from the competition is through experience. We’ve been growing for over 35 years. Anyone can pass down savings to a customer, but it’s crucial to have the knowledge of how to use the equipment and nutrients. We help experienced growers and newcomers develop, build and maintain their gardens from seed to harvest every day. The last thing this industry can afford to do is make it difficult for someone to learn because we all know that learning comes with the job. If they give up on that, then we’ve all lost a valuable customer, and that customer has missed an opportunity to do something incredibly satisfying. RB: What is the oddest request a customer has ever asked you? T&R: We constantly get asked if we can come to someone’s house to help them garden. That’s a ridiculous question. Not because we don’t want to help, but because this is a hobby. The satisfaction and fulfillment come only if you do it yourself. We’ve also had a customer come in who wanted to buy a couple of handfuls of soil to top off his pots. He didn’t want to buy a bag, just a couple of handfuls. I suppose if we get a bunch more people coming in to buy handfuls of soil, we’ll have to get sandwich baggies. The Gift of Gab gabs about what's on his mind, while we gab about what's on ours.